It's giveaway time. One person will win a copy of Goddess Interrupted courtesy of Media Masters Publicity and Harlequin Teen. To enter, all you have to do is fill out the Rafflecopter form below. This giveaway is open to US and CA participants and will end on May 31st at 11:59PM CST. If you have any questions, feel free to email me at addicted2novels(at)gmail(dot)com. The yearbook superlative question was my favorite! LOL, thanks for the interview and the giveaway! I am sooo excited for this book and for the Goddess Legacy. I loved the first book so much!! I love interviews and the insight that they bring. They're my favorite part of book blogs. Thank you for a wonderful interview and congrats on your book release. I can't wait to read it. I'm so excited for the next book! I picked up Goddess Test when I was at RT12 and my niece grabbed it from me when I came home- she loves the book and wants the next, so now I finally get to read it and can't wait. Its always a pleasure to read about what inspires an author to write a book. Enjoyed the interview! 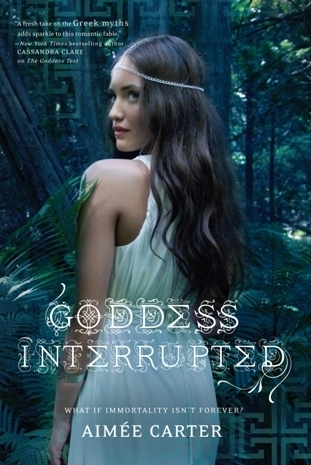 Have read the Goddess Test and very excited to read Goddess Interrupted! Thanks for the giveaway! 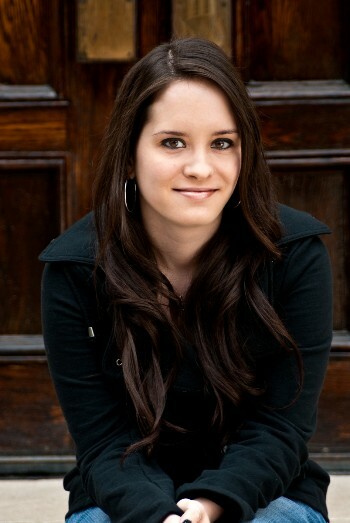 P.S: Aimee Carter is GORGEOUS!!! :D I love it that you did Greek Mythology. :D Thank you! Love that a main character is named Henry. Just like my son! Great interview! I want to read this series even more now. Great interview! I haven't had a chance to pick up this series yet, but I'm totally adding it to my list now! Awesome interview! I loved The Goddess Test and thought the mythological retelling was perfect. I've been dying to read Goddess Interrupted! Awesome interview! I'm so excited for Goddess Interrupted! I loved hearing about what part of the process she liked best and least. I too love that planning stage where anything is possible. I'm really excited for this book. I love mythology, so I'll definitely be picking this one up. I'm excited to read your latest book I love novels with Greek Mythology mixed in with it!! Thanks for the giveaway. I enjoy Greek mythology and I am really excited to get my hands on this one. If you read The Goddess Test, Goddess Interrupted is definitely a book to look forward to!! Can't wait to read this!! I haven't read this series yet, but i looks so good. I enjoyed the yearbook superlatives at the end. Cute interview! I'm excited for all the same reads this summer! Can't wait to read this series. I love Greek mythology! I enjoyed the interview. The book sounds great! Great interview. I love Greek mythology. Great interview! I'm so surprised her favorite part is outlining... I know some authors who absolutely hate that part! Haha, but this book sounds great! Thanks for the giveaway!! Great interview! I can't wait to read more Greek mythology books!